Just finished the Mustang, looks fantastic, possible my favourite build to date, really well put together. I intend to try to sell it off as sets and donate the rest. 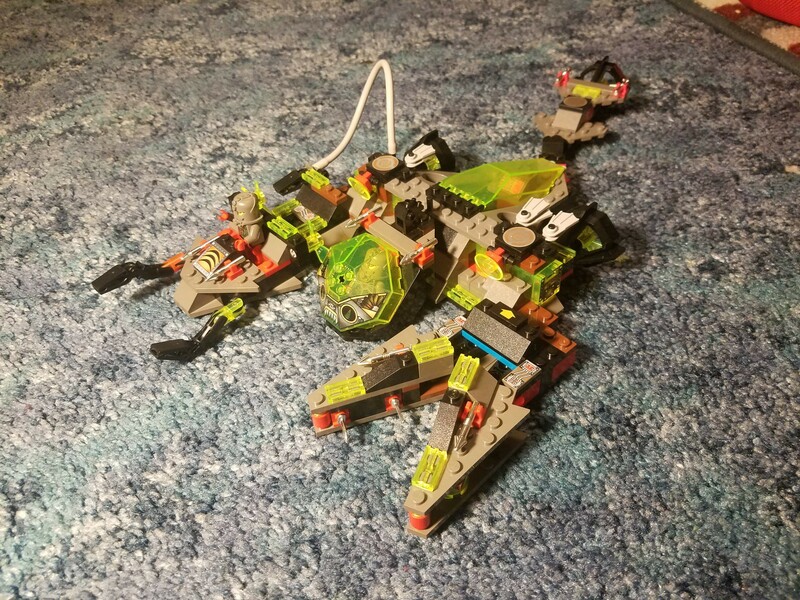 I'm prioritizing putting together the biggest most valuable sets, unfortunately I'm already missing parts and wondering if I should just advertise and sell as incomplete or try to buy the individual parts I need to make a full set? 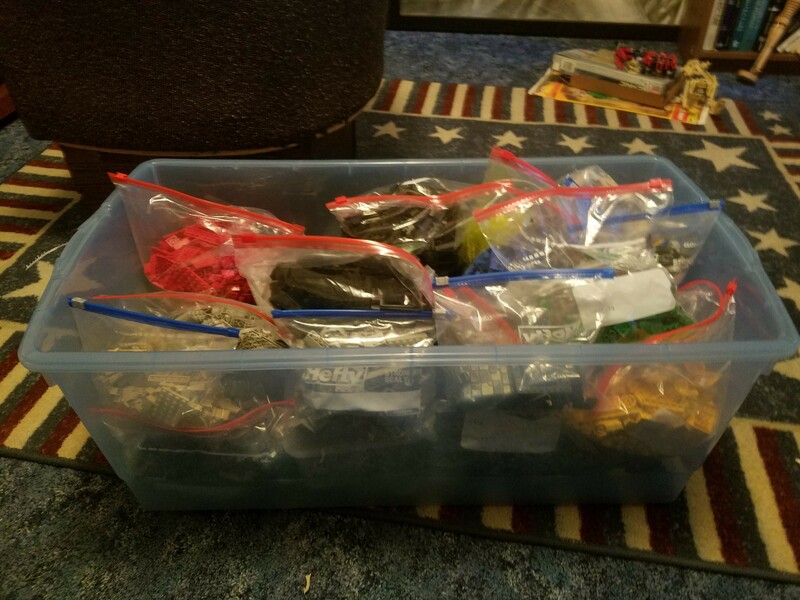 I would sort away and then make a bulk order at bricklink to complete all the sets. Much better than having to explain what is missing to potential buyers. Be aware that some colours have changed since back then, primarily the grey's might be very different, so make sure you order the correct part/colour. On it. If anyone else is interested just say the word. I wouldn't mind one, while you're offering. Hey. I'm thinking of picking them both up. Can you by any chance post some pics of the Bounty docked in the harbour? Wow Stud.io is so much easier than MLcad. 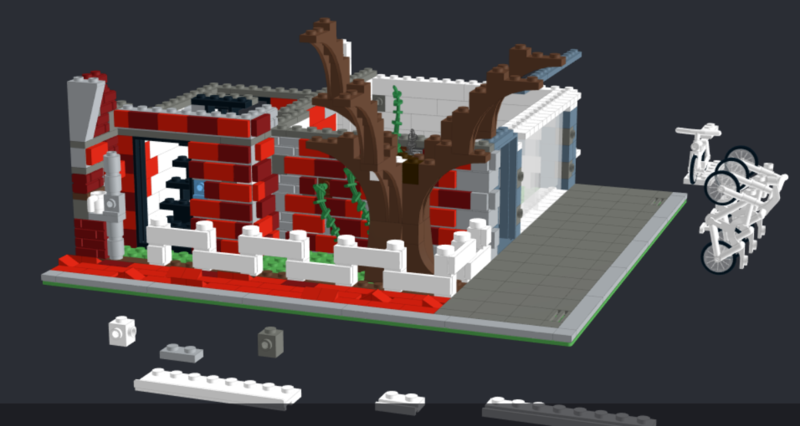 i liked MLcad's drafting-software-like rigorous vibe but picking pieces in stud.io is just so much easier. I'm smushing together a couple IRL buildings I like to make a modular apartment-bike shop combo. welp. finally working on a modular of my own after several years of nerd toys. outlining the ground so far. i hadn't thought about how little space is in the back of a corner building. i have big plans for the back. might have to get creative there in order to create more room without messing up the standard spacing on the pinholes. I cannot stress enough how useful submodels (and sub-sub-models) are when working aon a big project like that. I discovered the magic of submodels shortly after posting last night. Lumped most of the tiles together with the baseplate before I carried on playing with the walls. Seems really nice. Was also gonna make each floor its own top level model, too. That way if i discover the software starts chugging past a certain piece count I can control the inconvenience slightly. Then if my laptop can't handle the merged model I can just go look at the unified mess on a more powerful computer. Any word on what the new Star Wars UCS sets might be? I'm hoping for an A-wing and a TIE Advanced. I think I can stop at that point, having everything from the 2008ish Death Star to now. Seems like they are in re-issue mode at this point so its probably only a matter of time till I finish off the OT stuff I'm interested in. You can put them in washing machine (inside pillow case) and wash them that way. It's not recommended by LEGO but if it's really dirty and you don't want to wash thousands of pieces by hands. Just make sure to not put delicate pieces in there and put on gentle cycle. It's still better to be wash by hands. This is my plan. I bought Red5 and R2 but got good deals on both so dind't pay too much. I'm not paying out for old sets if they are just going to re issue/redo them for substantially less. I've still not built my bloody Falcon yet, not even got to my Females of NASA set I got for Xmas! 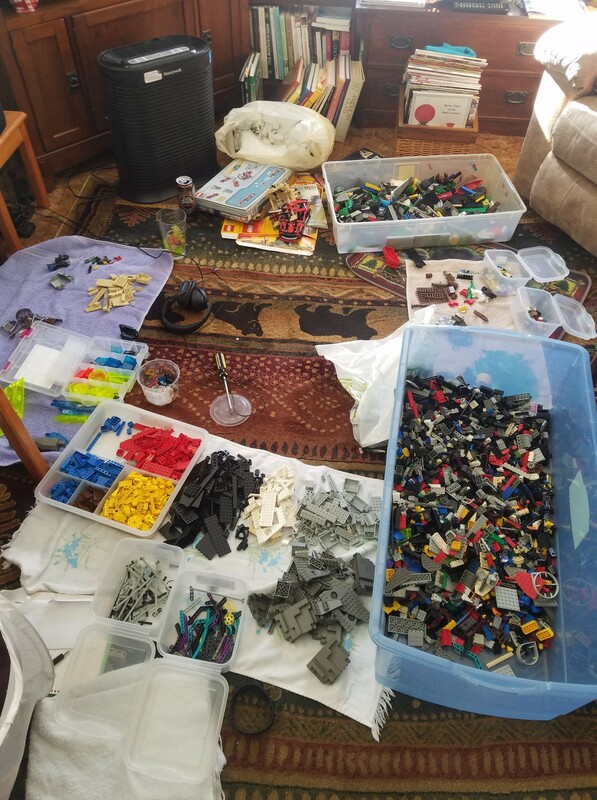 I’ve got a couple bins of used pieces myself. I was thinking of getting a lingerie washing bag and throwing it in the top rack of a dishwasher. I haven’t gotten around to it, but seems better than a washer. 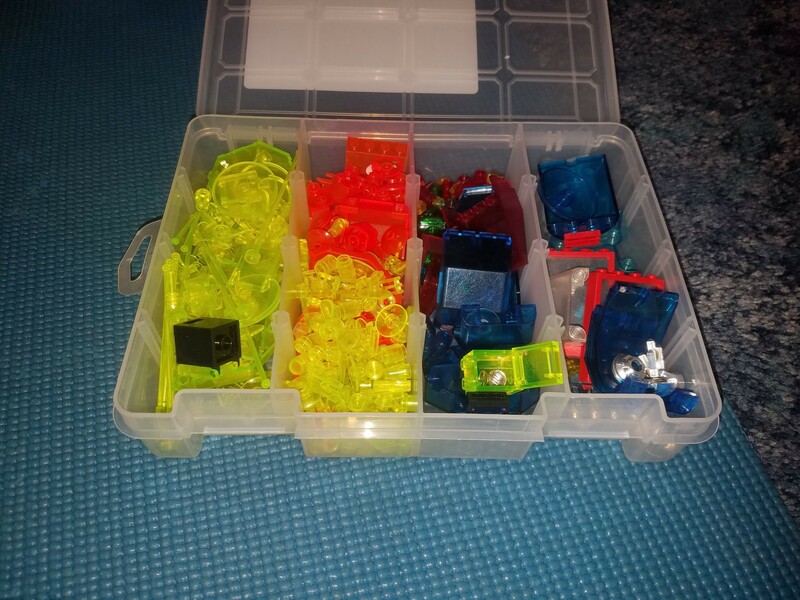 Since you have yours sorted, you could probably get a basic mesh bag for the larger pieces. Check the dollar store for them. It has been awhile since I pick up any LEGO set but the Hall of Armor caught my eye the other day as I walked pass LEGO store. That said, may be because I haven't got a set recently, I find the price to be really high. $59.99 for 6 minifigs and small size display. Also what with all the miniaturized Star Wars vehicles .... (not the Chibi one, I knew about those). Target has the Hall of Armor set for $47.99 (20% off) online and in-store if you're willing to bite at that price. Not sure how long the sale lasts though. The War Machine Buster is also 20% off ($27.99) if you were interested in that too. I hope a new UCS gets announced at The LEGO Star Wars panel at Celebration this weekend. Can’t wait to drool at pics if they do announce something! inching forward with my attempt to MOC together a couple local buildings. posted the nearly empty board when i was outlining it and now i've done mostly the apartment-entrance side with a tiny bit of the bike shop storefront. i've been going slow on the storefront because i am not sure what I want to do exactly around the window. i need to dig out the 1 lego bike i already have to try out different ways of hanging the row of merchandise. i'm picturing skeleton/droid arms turning into bike clips. oooh. 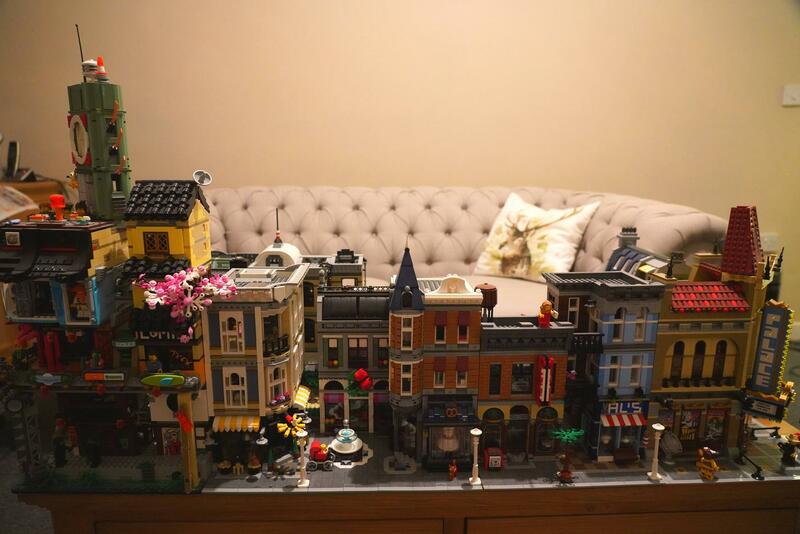 do you have a pic of your modular table where we can see the whole layout? i have my small number of built modulars just in a line but layouts with depth are definitely cooler. Can I get Discord invite ... because this place is pretty dead. Is that where everyone go hang out now? I do still generally prefer forums, so i'm gonna keep posting here whenever i have anything worth sharing. haven't advanced on my moc since the last time I posted a photo, tho. 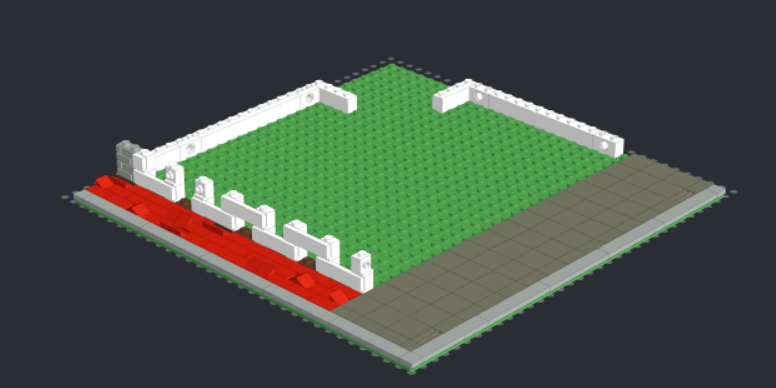 stay tuned for when i put all the pieces in a spreadsheet and realize how much the bricklinking will cost. maybe i'll record a video of myself crying. Yeah strange. I'm sure there are lots of people like me that are casually interested but not going to bother with Discord. I suppose that's fine if a smaller community is preferred though. I knowit shows prices when pieces are selected, but are there features for exporting shopping lists or bricklink carts? Haven't noticed anything yet. so it's been 10 years without a tantive IV til now? damn. from the sidelines it looked like every star wars ship got cycled in constantly. I have a Tantive IV set, but not sure if it is this one or not (IIRC the old UCS was 1750 and the "regular" TIV was 1100 or so?). Guess I can check the brick count but cant be much of a difference either way. Probably gonna pass on this one. 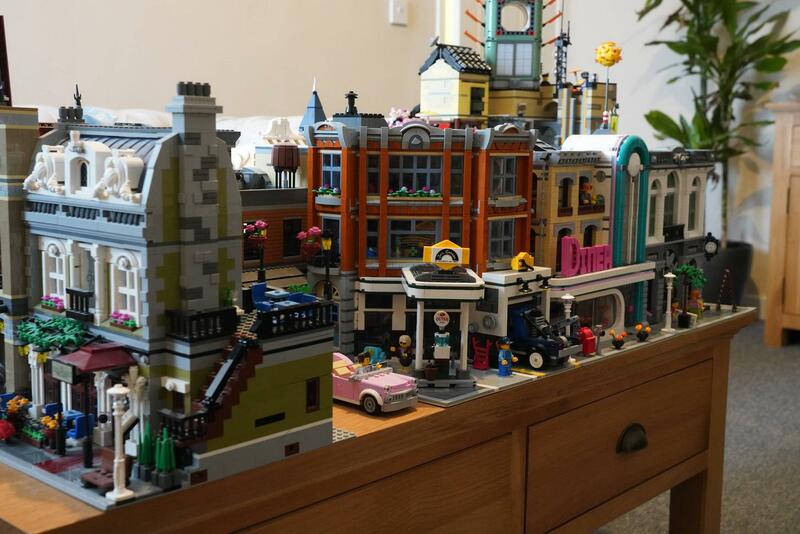 I haven't been to BrickSet since I sort of stop buying LEGO like madman ... what happen to that place you can't even go pass the first page with all the pop up ad. prevalence of adblock making ad services more desperate? definitely cracked me up a minute ago when I whitelisted WaPo while reading an article and the banner ad overlaid on the screen immediately covered up the video ad playing at me. so much advertising that it's blocking itself. Dang assembly sq looks good. Need to make sure I don't miss that one. Yeah Assembly was a super fun build, with interesting interiors. Would love them to do a similar sized Museum/Library combination. Need to buy some kind of shelving solution to house more sets now however. Oh I think if i were building my own library or museum each one could easily be assembly sq size by itself, haha. I've been trying to daydream how to squeeze my local library main branch into 32x32 and it's a tight fit. Then for museums i guess my daydreams alternate between "tiny pretentious art gallery that could almost fit in 16 studs" and "hulking behemoth"
It's crazy how modular-centric my unrealistic moc ambitions have become lately. Used to be much more castle and dungeon and horror based. 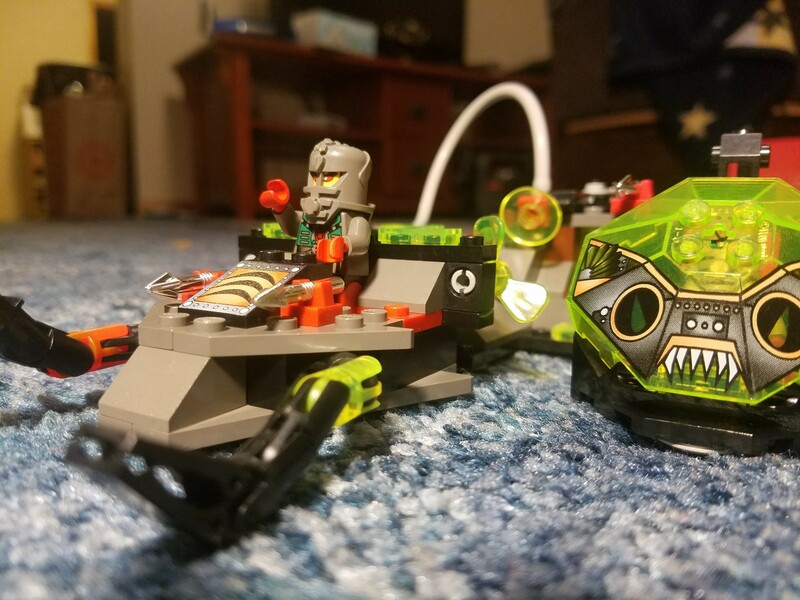 Anyone have extra infinity stone lego pieces for trade?